HVSU provides wheelchair accessible van service for all make & model vans & mobility equipment. 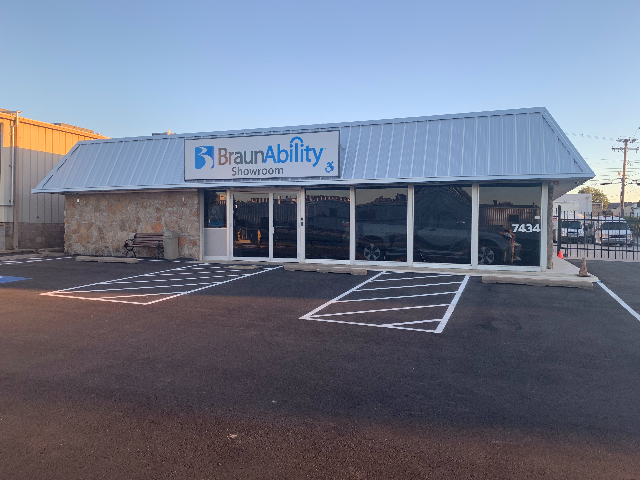 We are an authorized BraunAbility dealer and perform service and warranty work on all the vehicles & products we sell. Whether you are a long time customer coming in for routine operational maintenance of the equipment you have in your modified vehicle, or a new customer who needs adaptive equipment installed on your vehicle, we will do our best to get you back on the road as quickly and safely as possible. It doesn't matter if you bought it from us or elsewhere, at HVSU we want to make sure that your vehicle is always giving you access to the world. Many of the emergencies that we see come in can be prevented by routine maintenance to your handicap equipment. Just like regular vehicle maintenance keeps your van running smoothly, performing routine maintenance checks on your handicap equipment helps to prevent problems that could take you off the road. In order to protect your investment we recommend that your vehicle is brought in every six months for routine service checks and maintenance. At HVSU we want to make sure that your vehicle is always giving you access to the world. Contact the service department at 1-800-580-7311 to schedule an appointment or for additional information about the services we offer. To reach our Service Department after hours please contact us at 918-519-5365. Call (918) 622-8400(918) 622-8400 to speak to our Service Department or complete the form below.